1986 : les meilleurs films de l'année. An intense period action comedy. This is an intense action comedy from director Hark Tsui, a story set in post-Chinese Revolution of 1911 where triad members fought each other for power while Sun Yat-Sen's underground movement tried to establish a democratic republic. 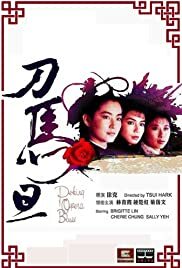 Mixed into the plot are three young women, played brilliantly by Brigitte Lin, Sally Yeh and Cherie Chung. Lin plays Tsao Wan, who is the daughter of a general. Yeh plays opera actress Pat Neil and Chung plays small time thief Sheung Hung. All three get entwined within the feuding wars of two triad groups that drags them back and forth between the Royal Palace and the Peking Opera. This film blends in action and political satire, to give you an entertaining tale of drama of sacrifice. 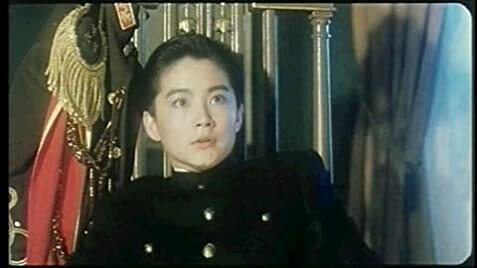 There are some pretty intense moments as well, from scenes of gun battles to a scene of torture, courtesy of Mark Cheng and Brigitte Lin. All this put added suspense to the film that gives an intriguing aura of tough times during post-revolution China and the yearning of freedom and better lives among its Chinese subjects. Amidst all the carnage and drama is comic relief, most notably provided by Cherie Chung. Overall, it's a rushed film with a lot of chaos thrown in the mix. But, it's pretty entertaining.